Sorry no up-date for quite few days this week. Not up to it. Rather than write on politics or economics/corporate or government policy, we like to be spiritual on this third day of Rejab and a Friday. This morning, we received a message and it checked out to be true. It was something we used to say that in a certain aspect, the German and Japanese imbued Islamic value better than the Muslims in a certain endeavour but without the Islamic labeling. Seeing how committed Markel is on human rights and her support to Malaysia on fighting for the fate of the Rohingya, the German Chancellor is more Islamic than some OIC leaders.. Early this month, Gerakan Akar Umbi UMNO Malaysia urged MACC to investigate a posting made by blogger Captain M in January here with regard to RM100 million water pipe installation for Gaya Island, Sabah. Such stories on Dato Shafie Apdal's corruption is plenty. Putting together admissible proof in court is one issue as it is tedious to put an undisputable case. However, existing proofs show corruption exist. 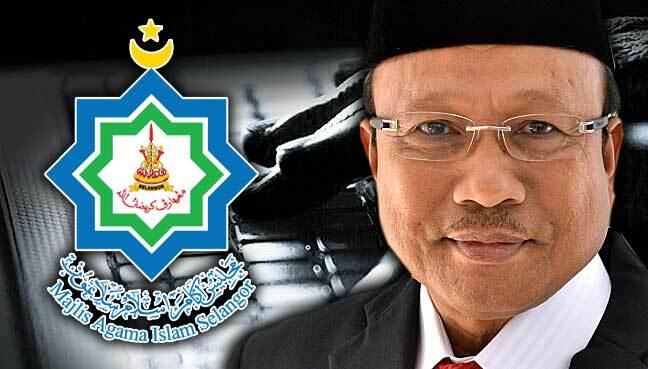 Indications leading to Shafie are plenty and an open secret in Sabah. When he led KKLW, many projects exist on paper and paid for but it was either not delivered or never too off. He thinks he got it all covered up with himself passing responsibities to KSU or the state is in charge of certain aspect of projects. The money trails are every where and traceable from within the country. Someone and somebody are bound to speak. More so, when they are detected and caught. These white collared criminals can't survive even a night in a mosquito infested police jail. It leads back to an earlier hint of PMO being infiltrated by Shafie Apdal people to send misleading report to Dato Najib. Apparently, it raised a few eye brow. For their comfort, this is not a joke or fun and games. There are names. 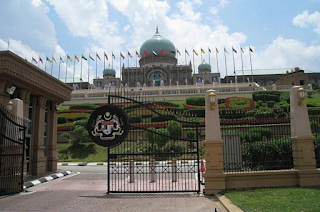 Malaysia had been consistent in their censorship policy on foreign film. Pirate videos do enter the market, but that is a law enforcement issue. Sexual theme movie including gay theme movie like Brokeback Mountain banned in the past should remain censored and banned by Film Censorship Board (LPF). 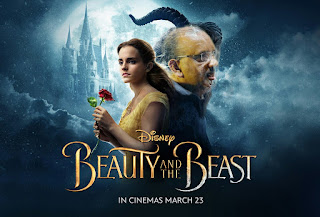 The recent controversy with regard to the entry of Disney's Beauty and the Beast into Malaysia highlighted the "beastly" side of the higher hierarchy of civil servants called the Pegawai Tadbir Diplomatik (PTD). 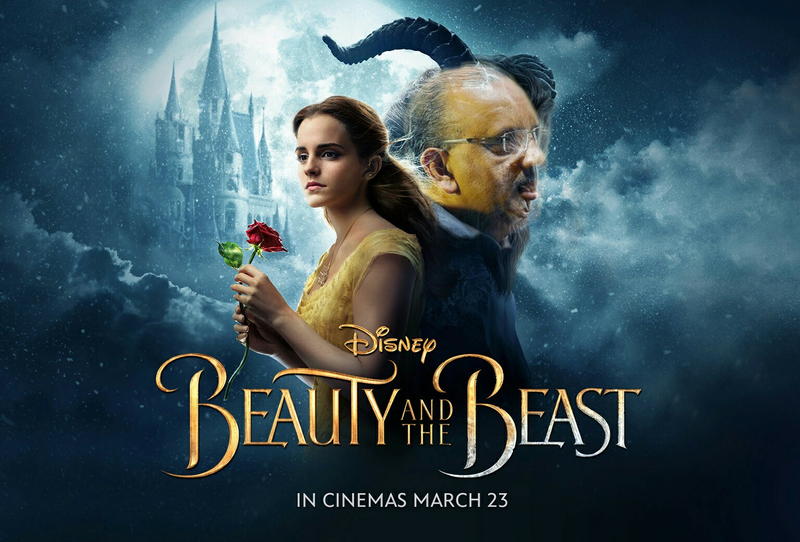 Caught in a dilemma between continuing film censorship policy, and pressure from Disney's refusal to cut so-called gay scenes thus withdrawing the film distribution, the PTD mafia decide to blame it on MACC. When anyone resort to spin, or deceptive cheap headline, or fake news and false fact or preposterous accusation (as Tun Mahathir is doing now) or argue incessantly, it simply mean they have NO CASE. It is the same message the propaganda team and cybertroopers of Dato Najib should know. Two days ago, Matthias Chang tried to viral a dramatic message that a nuclear bomb will explode on Dato Najib. It was no nuclear bomb but him delivering a 40 minute sermon like a womanising TV evangelical Minister deceiving public for donation in a Sunday morning TV show. "Facts will be out in cyberspace soon. Beyond my control." 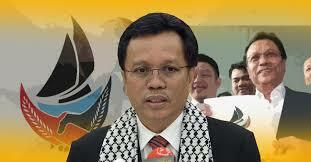 In Sabah, Dato Seri Shafie Apdal is going around his targeted constituencies. His political rally is particularly lavish. It is more lavish than any BN political rally in Semenanjung. 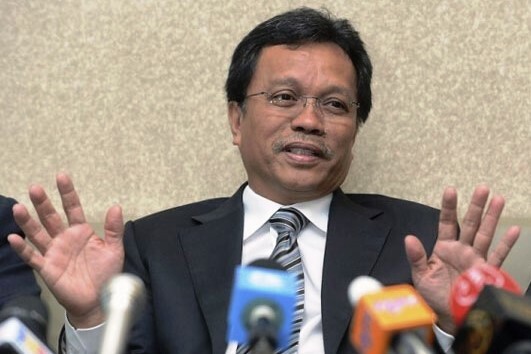 The custom with Shafie at political rallies and constituency visits is to give away money. At the end of his speeches, one has to clear out or get crush by the maddening crowd rushing for the RM50 or RM100 note he distributes. Although the only project he brought to Semporna was a fish "tukun" project, it was the way he learned from one of his father-in-laws to get popular. These days, Parti Warisan Sabah gets the crowd by holding lucky draws giving away car or motorcycles. Political rallies are held in air conditioned tents to cool the crowd before they try to fire them up. The people he promote was instructed to give away their own "BR1M". MACC or EC should keep an eye out. 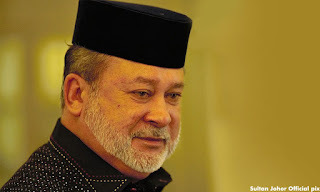 ... MAIS demanded that the bloggers apologize to the Selangor Sultan in writing, within 24 hours, or it would sue. The Istana, for the record, made no such demands of me. As far as MAIS denial on the allegation of throwing the name of Sultan, it is taken on good faith. However, without a formal request from the Istana, MAIS demand on bloggers to apologise to the Sultan came out looking rather odd in view of their denial. More so, it is beyond the financial means of bloggers seldom slandered as receiving "chicken feed" to spend money to advertise in mainstream newspapers. Underlying the 1MDB issue being propagated by DAP and Tun Dr Mahathir is the issue of political funding. Before the last general election, Mahathir had a meeting with the IPP owners in Buenos Aires and they were complaining of 1MDB nationalising IPP. When 1MDB invited Mahathir to launch a CSR for the fishermen of Langkawi for GE13, he turned it down and grumbled as to why nationalise after the trouble to privatise. So it has to be more than mere issue with policy. During the last GE, too few and too little of Mahathir's corporate cronies donated to the BN political war chest. The intention was to tell Dato Najib that "you can be President but I am still in control of UMNO war chest". Mahathir passed to Pak Lah only enough money for the 10th GE but UMNO assets were not transferred to Pak Lah. D-day for Nor Yakcop, Who gave him the go ahead? 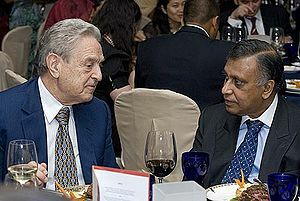 Was the forex "gambling" loss by Bank Negara Malaysia announced in 1993 linked to the attack on the ringgit which Tun Dr Mahathir blame on George Soros? Was there any manipulations of BNM's account by government and bank officials then? Those are among the questions asked in this blog's posting on February 24th 2017 here. There are many more in the posting and the various links. And, the questions and information on the humongous loss, as claimed by former BNM Adviser, Dato Abdul Murad Khalid, of USD10 billion does not end there. Still few more being held back. The Mrs is due to be in the op room to confirm possible blockage found in her CT scan. The cardiologist said it may or may not be a blockage. 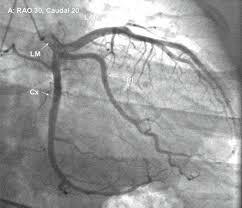 However, an angiogram needed to confirm. She is already in. We are sitting in the waiting room feeling rather nervous. Good to have two elderly Indian ladies giving comforting words. Is a Bank Director linked to organised crime, international money laundering? This time it is 12 enforcement officials into Azmin-territory in Selangor for corruption involving massage parlours. The arrested officials are policemen, local council, dan bomba including two police inspectors. 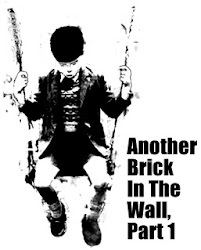 [For an inkling on how bomba can be corrupted and cause trouble to the system, read here]. "The suspects were believed to have received between RM300 and RM10,000 for every massage parlour. 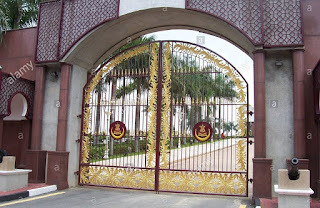 The agency also seized RM25,000 from the home and office of one of the inspectors." It could be part of the reaction to allegation protection were given to Along Taman that beat up on an innocent lorry driver. 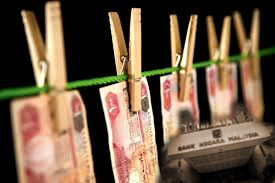 However, the latest raids and the one on Tan Sris and Dato Seri seem to indicate the current wave by enforcement officials is to pursue organised crime and big time money laundering operations. 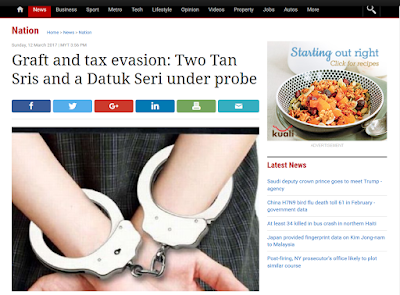 Is The Star sabotaging investigation of underworld Tan Sris and Dato Seri? The Star today here reported Tan Sri Tan Kok Ping denied being investigated. Yes, this is still related to yesterday's afternoon posting, "Royal-linked Tan Sri among raided for tax evasion, corruption". And yes, yesterday's posting gave link to The Star's report here. The raids were said to have been conducted in Penang and Johor, with more details expected to be revealed soon. The two Tan Sri businessmen are from Penang and Kedah respectively, while the Datuk Seri is from Johor. Mingguan Malaysia frontpage today is a major scoop in the fight against corruption, tax evasion, and abuse of power. 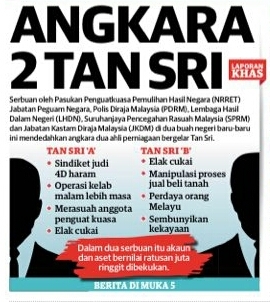 The paper reported two Tan Sri; Tan Sri "A" and Tan Sri "B" raided yesterday. Tan Sri "A" for tax evasion, illegal gambling, corruption, and extended opening of night club. While, Tan Sri "B" was raided also for tax evasion, manipulation of sale and purchase of land, trickery on the Malays, and hoarding wealth. Read it in Mingguan Malaysia here. Better still, go buy for more detailed reports. MMO reported on Mingguan Malaysia report here. Speculation is stife that the likely person be "Tan Sri" Lan Kok Ping as reported in MMO in 2013 here. Mingguan report described Tan Sri "A" operation here. If it is Kok Ping, he was the person that pressured Lim Guan Eng to stop the cancellation of development of Kg Buah Pala as promised by both Guan Eng and Dato Seri Anwar Ibrahim during GE2008. He sits on the board of the Penang Chinese Chamber of Commerce together with Guan Eng's wife Betty Chiew. However, confirmation is still awaiting and it may likely not be him. Before any claim of planned raids to hit at opposition supporters and donors, Tan Sri "B" is believed to be close to a BN-friendly Sultan and in a BN state. His highness Tuanku Ibrahim, Sultan of Johor gave both the blessing and support to MACC to carryout investigation and subsequent course of action. As reported by The Star here, his highness said the palace will not interfere nor protect anyone. This is in reaction to the arrest of a Johor exco member, Datok Abdul Latif Bandi over land scandal as reported by The Star here. Last week, his son, officers, a lawyer, two developers, and another suspect were detained and money in bank accounts, luxury car and motorcycles were seized. Following yesterday's arrest, The Star here reported MACC raided the exco members home and 150 luxury brand handbags, a Vellfire, and cash seized. His highness is believed to have made the statement after receiving an audience from a top MACC official of MACC at the palace. An anonymous commentator with the nicname Unknown asked, "So... Apa cerita sekarang?" in the posting, "Selangor royal default?" For update of Unknown, Rockybru here gave link and quoted from the posting the next day. He also quoted The Mole's coverage of the posting, "MAIS denies blogger's allegations but gives no details". Alerted by friends that FMT reported, "MAIS tells bloggers, apologise to Selangor sultan or face legal action". 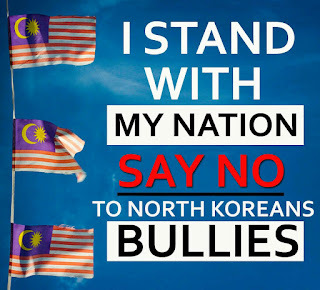 In a crisis moment like this, Malaysians should put aside race, religion, politics, and personal interest and opinion to unite for country in support of government effort to save the Malaysians held as "hostage by the North Korean government". With the situation tense and delicate, we share the call by Rocky Bru here for Malaysians, particularly politicians to stop making statements and threats. This is not the time for politics, insults and smart alec. It is comforting that opposition leader like Lim Guan Eng understand the need to unite and support the government in moments like this. [Video in this blog here.] DAP went further call for a joint-partisan Parliamentary "peace mission" yesterday. 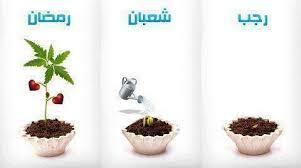 The intention is good but it may not be that simple to execute. Blogger Husin Lempoyang here cynically highlighted the potential problems. It must best left to professional diplomats to handle as they are the ones capable at threading through the various diplomatic channels and the circumstances not known to the public. As happened before during the Tandau invasion by Suluk terrorist, there will always be Malaysians saying the darndest thing without giving much effort and thought to understand before making any remarks. 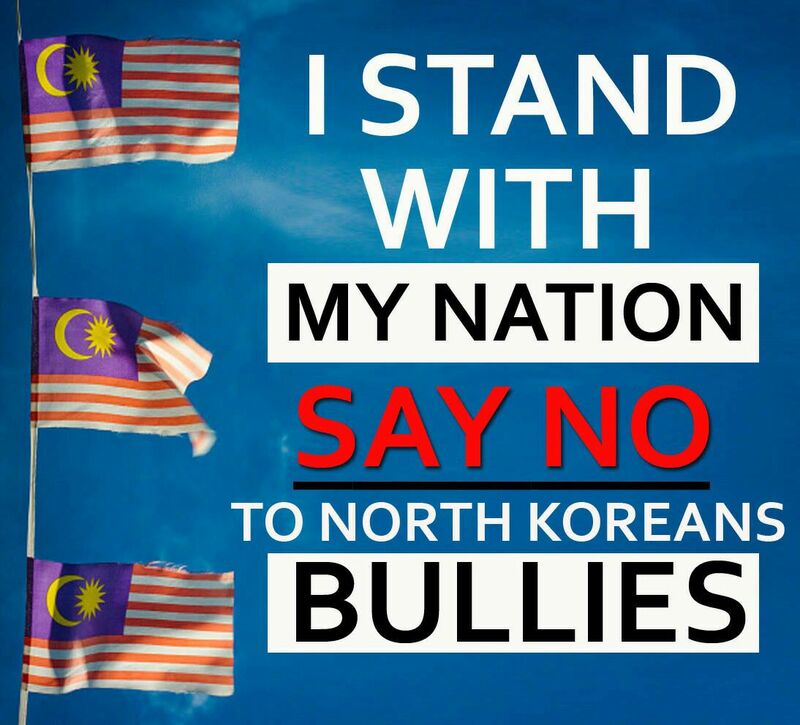 LATEST: Malaysians held hostage by North Korea! On Sunday, CNN here reported North Korea launched four ballistic missiles in which three missiles reached into Japan's Exclusive Economic Zone. It is believed to be a provocative reaction to a South Korea-US joint military exercise. North Korea claimed they have the capability to launch Intercontinental Ballistic Missile (ICBM) to the US However, CBS News here reported the US do not see they have reached the level of capability. However, Washington is concerned and see it as a serious threat. Washington Post here reported "China expressed its dismay over the launch, with a Foreign Ministry spokeswoman saying it “opposes” launches that undermine U.N. resolutions. Russia, meanwhile, was more blunt, describing itself as “seriously worried” about the launches which raise tensions in the region." In last night's China Global TV program with Tin Mei, a Senior Captain in the Chinese navy claimed that contrary to the common belief, it is not easy for Chinese to "control" North Korean military action. UN will be calling a special meeting on the missile launch. 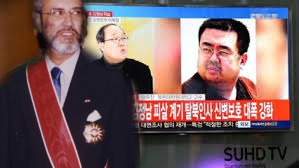 The North Korean reaction may have to do with the heightened tension with Malaysia due to the investigation on the murder of Kim Jong Num is leading to North Korean agents. 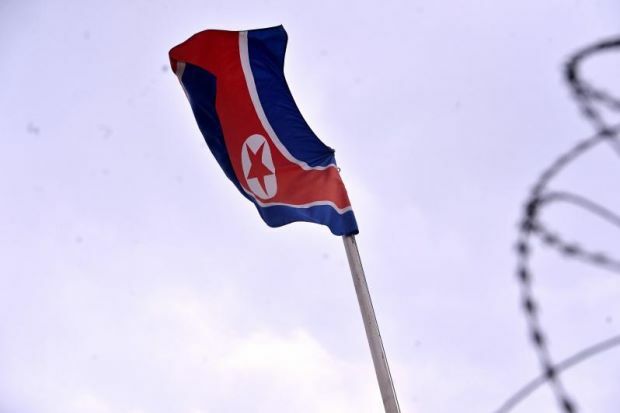 US is calling for North Korea to be relisted as countries practising state sponsored terrorism. Over the weekend, viral were pictures of Tun Dr Mahathir in Johor Baru giving a defiant pose against the Sultan of Johor. At the tail-end of his life, he is ready and willing to openly take on the royals. He has often poke fun at the royals, whenever he goes through the Malayan Union routine in his speeches at political rallies. In a speech in London near the end of his premiership, in which a student asked when he will resign, he told the audience that Malaysians can be anything but "jadi Raja". The brave student was not Khairy Jamaluddin but son of a Putrajaya official then. History of that incident need be corrected. At the same time, historians need to re-look their analysis of Mahathir. His past actions to do constitutional amendments could be more than to curb royal abuses. It maybe something imbedded in his psyche similar to his need to shame Singapore with a crooked bridge as symbol. 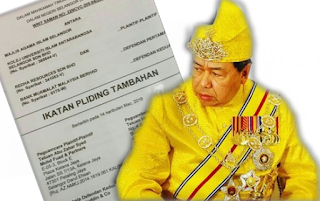 However, this posting is not about royal misbehaviours or Mahathir, but financial mischief made under the name of the Sultan by a religious state institution. It is the same action as the gut feel of Dato Dennis Ignatius, but it is not done in a brash and harsh manner. 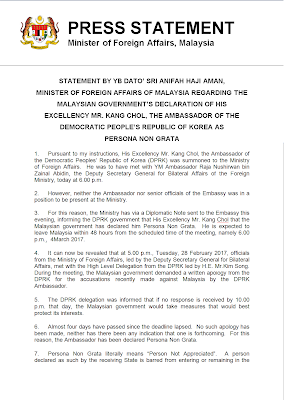 The Malaysian Minister of Foreign Affairs, Dato Anifah Aman officially issued a statement for the expulsion of North Korean Ambassador, Kong Choi in accordance to the Vienna Convention of Diplomatic Relations (1961). Malaysia do not need to explain its actions. 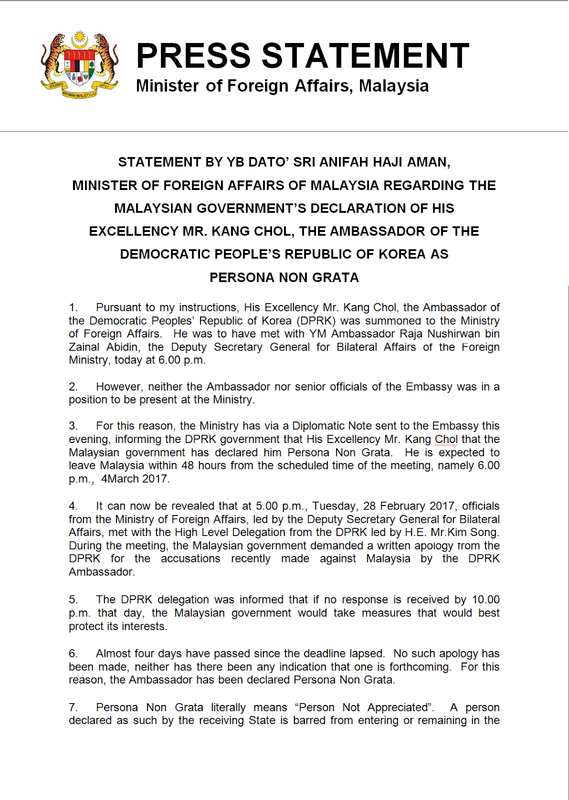 However, Wisma Putra explained the decision to do was due to the refusal of the Ambassador to explain his disrespectful actions to accuse the police and authorities in Malaysia as in-cohoot and part of a conspiracy with other countries to wrongly accuse North Korea. 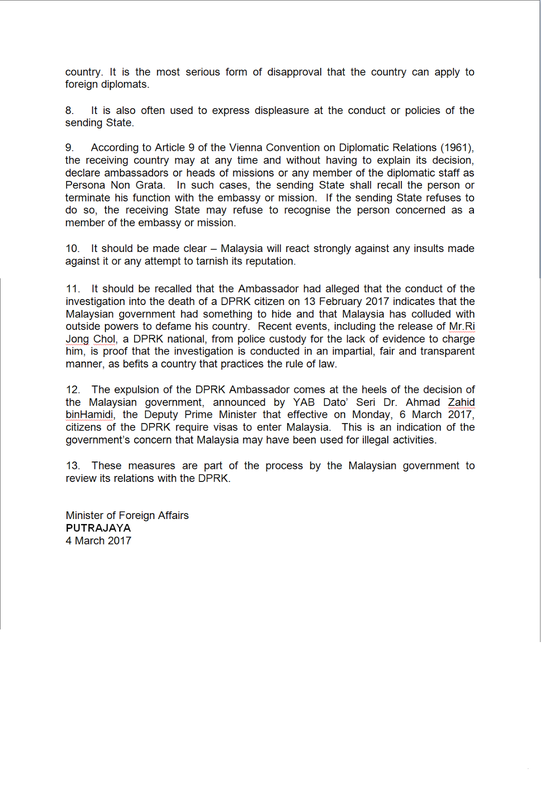 Former diplomat, Dato Dennis Ignatius's blog here have been getting quite a bit of promotion lately from FMT. Few of his postings were republished [read here, here and here]. Despite the close working link between FMT and PPBM, it is still considered a fair comment from a retired long serving diplomat. 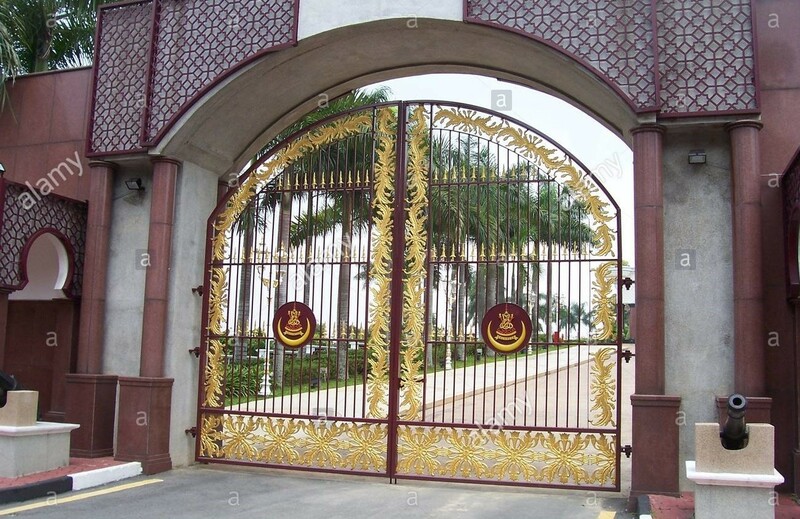 Though many former top civil servants, diplomats (G25 for instance), and even policemen are heard to be "hired gun" of Tun Dr Mahathir and the opposition political party, PPBM he led, it would be insulting to assume him as one. Even though, Dennis is beginning to sound like an irritant, he is not any loud voices in a teh tarik session of pensioners. 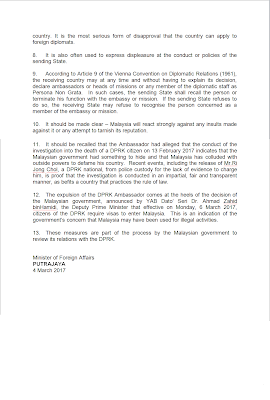 In the episode with North Korea, Dennis pre-empted Wisma Putera to call for the expulsion of the North Korean envoy and highlighted Malaysia can't arrest the diplomats, together with attention grabbing prediction of the defection of the envoy. Frankly, what is it with the retired Mahathir-era government men and women. 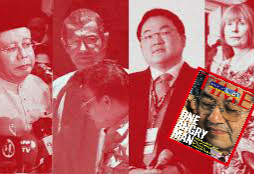 When in service, they were silence to Mahathir's abuse of power, corruptions, and systematic destruction of the political, social and economic fabric of the country, including the civil service. 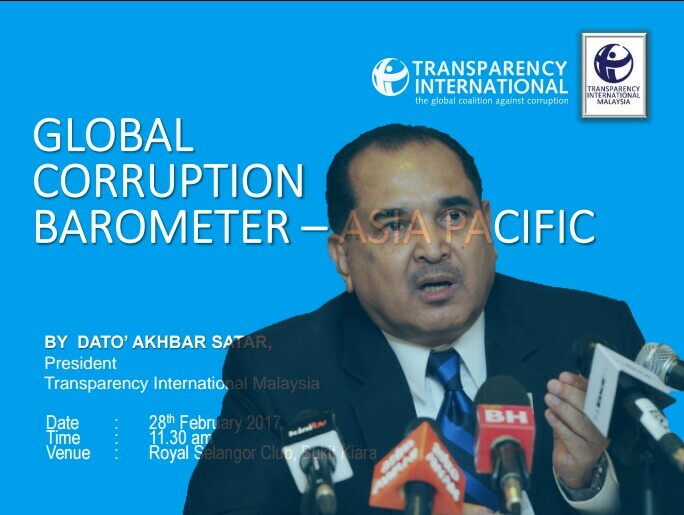 Transparency International Malaysia (TI-M) released the latest 2017 Global Corruption Barometer (Asia Pacific). It is another corruption perception index but as gauged by ordinary folks. However, the statement by TI-M President on the 2017 GCB survey was neither a "voice" nor effort to "work together" to stop corruption. It was politically motivated.